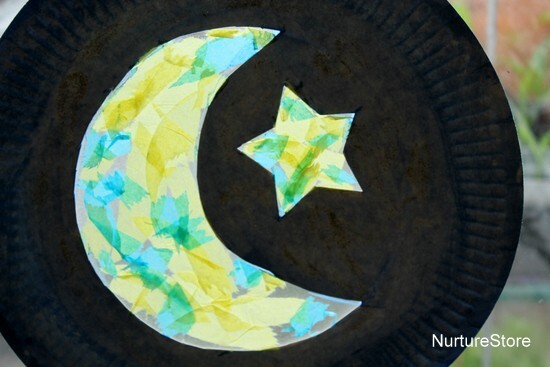 This paper plate moon and stars is a pretty but easy to make Ramadan craft for kids. 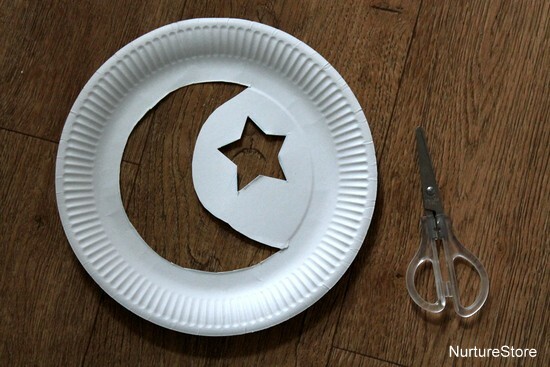 To make our Ramadan craft we started by cutting out a crescent moon and star from a paper plate. Younger children may need a bit of help with this part, and then they can take over for the rest of the creating. 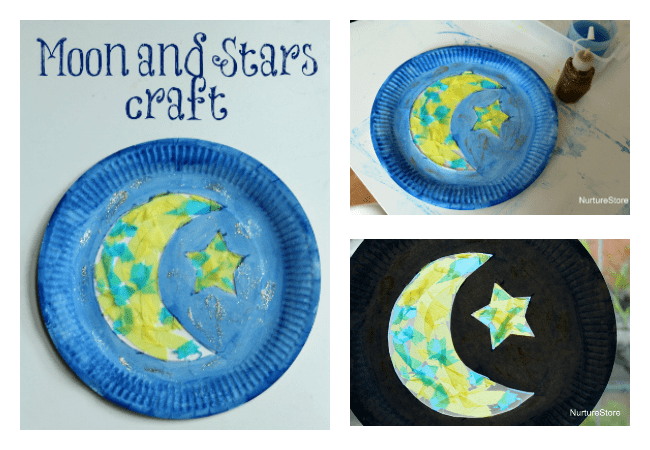 We placed our paper plate on a piece of contact paper / sticky backed plastic, so the sticky surface faced upwards through our moon and star. 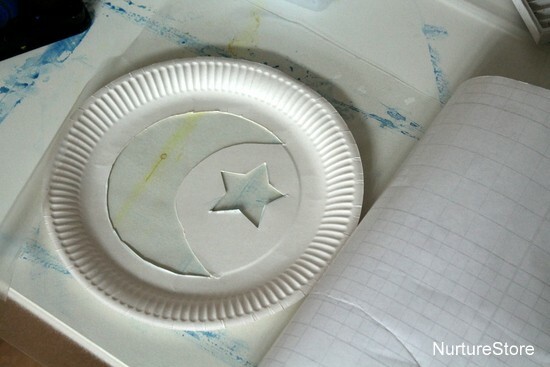 Trim around the edges so the contact paper fits the size of the paper plate. Then you can decorate your design. 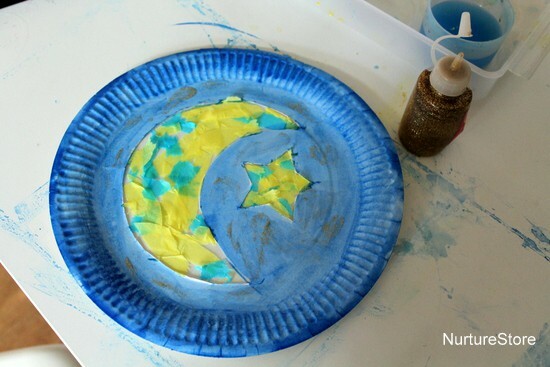 We used tissue paper to fill in the shapes of the moon and star. Tearing tissue paper is a great workout for little fingers. You can pick whichever colours you like, but we went with a classic blue and yellow. The tissue paper sticks easily to the contact paper, so you don’t need any glue. 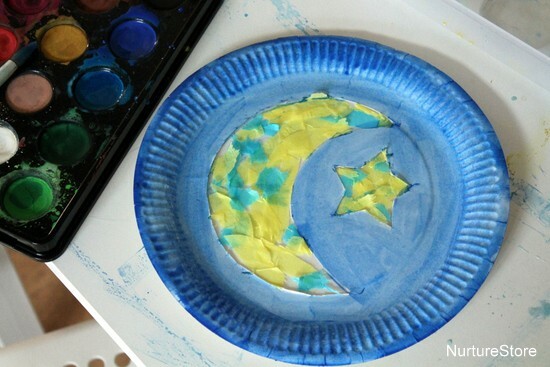 with some extra gold glitter glue to create some more stars in our sky. 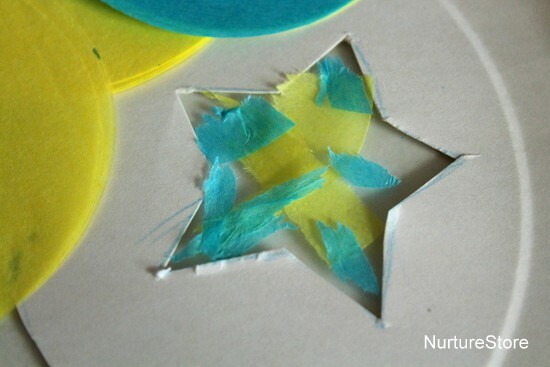 If you hang you moon and stars up in the window you will create a beautiful stained glass effect as the sun shines through the tissue paper. 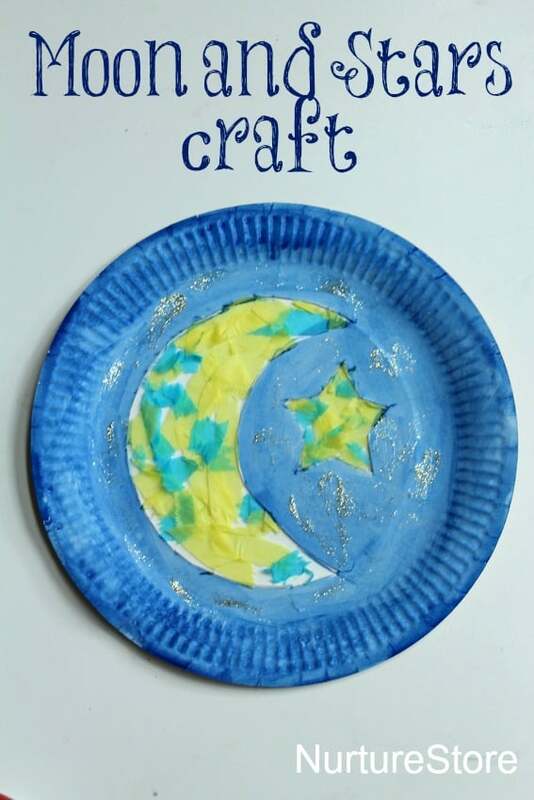 Or hang it on the wall to see all the glittery stars in your sky. 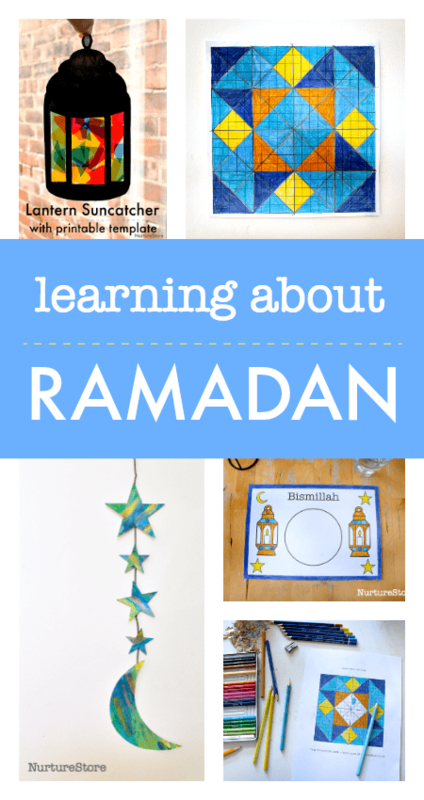 See my full Learning About Ramadan resources here.